Investigating how the inner workings of the body and outer workings of the environment create rhythm, is no small challenge. Evelyn was keen to take up this challenge when asked by TBI Media to present a two-part series on ‘the rhythm of life’ for BBC Radio 4. Tune in on August 21st and 28th at 11.30am! Shaped by interviews with experts from the fields of science and the arts, ‘The Rhythm of Life’ was an attractive proposition, not least because of the programmes’ skilful composition. Split into two episodes, one featuring the ‘rhythms of the body,’ one featuring the ‘rhythms of our environment,’ the project is scored with samples of rhythms inspired by the heart, lungs, brain and circadian flow as well as the pulse of central London…as mixed with gems of Evelyn’s back-catalogue. 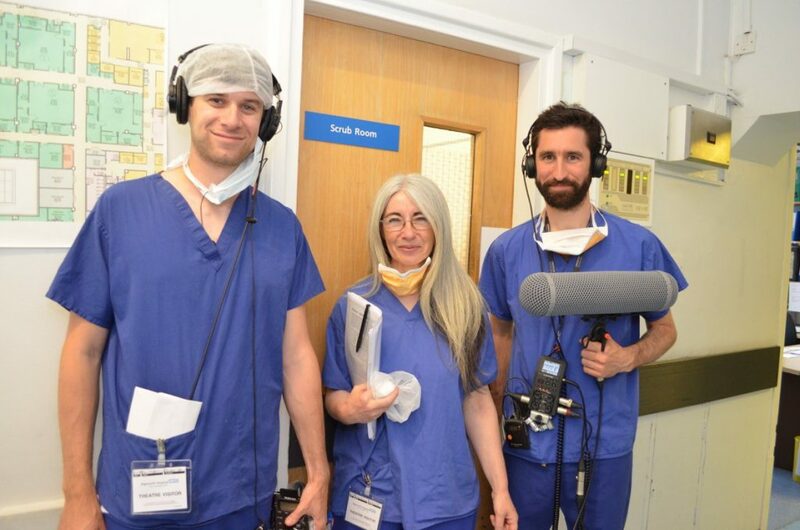 Highlights of the process included witnessing open heart surgery at the Papworth Trust in Cambridge thanks to surgeon and heart expert, Francis Wells and his (now well recovered) patient, Dorothy. Episode two sees Evelyn and the production team explore the rhythmical production-line of the Mini Plant in Oxfordshire. Evelyn then teams up with innovative DJ, Peter Adjaye, to explore how he translates architecture into music. Other scenery changes include a visit to the Bridget Riley collection at Tate Modern and into the labs of brain expert, Roland Jones and choreographer, Kate Elswit.